On the "All Projects" page, click on the "Completed Projects" tab. 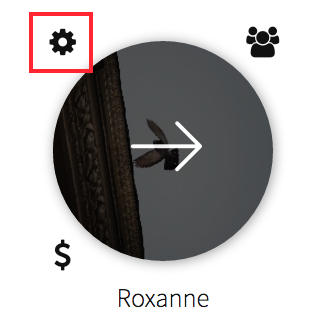 2) Hover over the project you want to edit and click the gear icon in the top left corner. 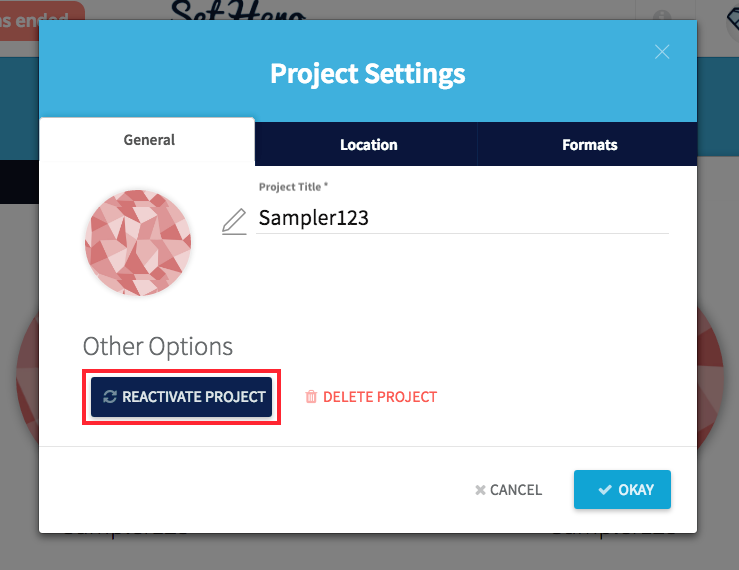 3) Click on the blue "Reactivate Project" button. Voila! 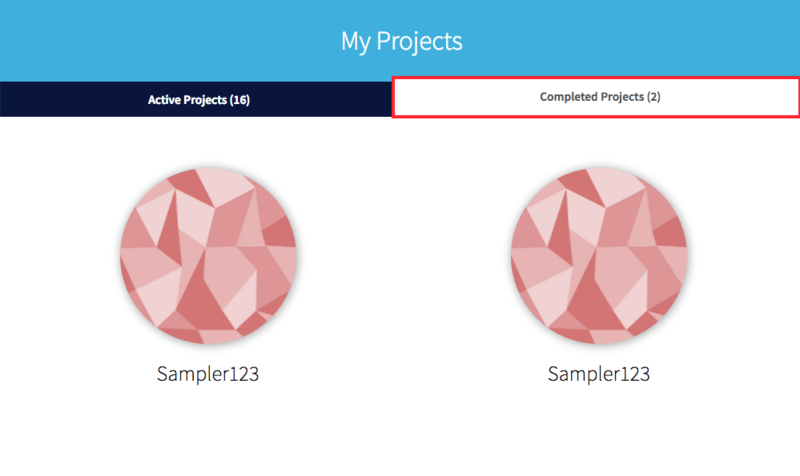 Your project should now be reactivated and can be found on the "Active Projects" tab.